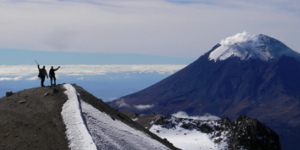 Join MGI for a Mexico adventure to the heights of the volcanoes or the beaches of Baja! Our Mexico trips explore diverse environments and offer guests a wide range of outdoor activities. The Mexico Volcanoes of Ixtaccihuatl (17,159') and Pico de Orizaba (18,696') offer an exciting trip for individuals seeking the challenges of climbing at moderate altitude amidst an interesting cultural backdrop. Pico de Orizaba is the third highest peak in North America. It is an excellent spot for learning climbing skills, and gaining experience with climbing at altitude.